Donbas Water Company has stopped three pumping stations bringing water to the Siversky Donets - Donbas channel due to damage inflicted during battles, the press office of DTEK energy holding company of Ukrainian businessman Rinat Akhmetov said. "Due to the three pumping stations which have stopped pumping water to the Siversky Donets - Donbas channel, restrictions have been introduced in water supplies to municipal systems. Even if water is supplied three hours a day, Donetsk's water reserves will last only five days," DTEK said. 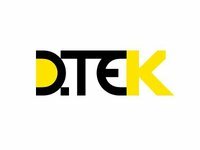 DTEK is making efforts to supply Donbas residents with water, the energy holding said.